Citation Information: JCI Insight. 2016;1(5):e85477. 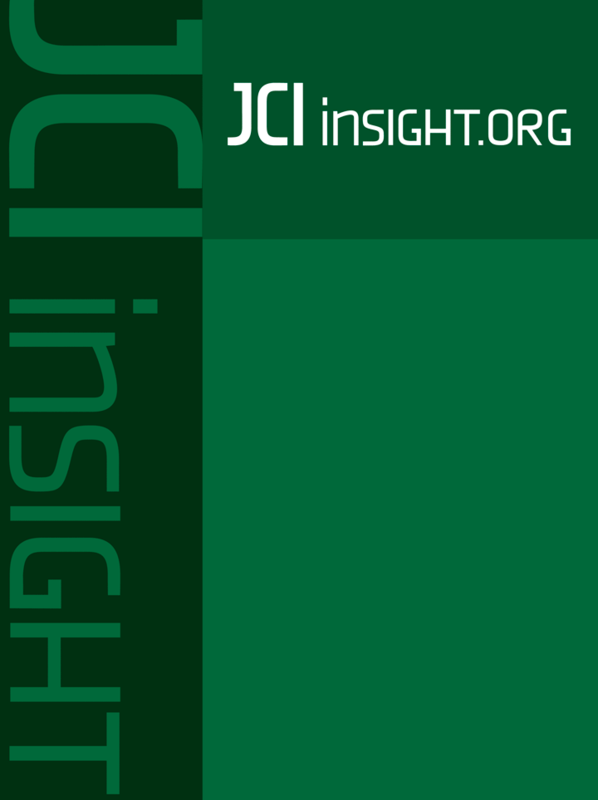 https://doi.org/10.1172/jci.insight.85477. The transforming growth factor-β (TGF-β) signaling network is a critical regulator of skeletal muscle mass and function and, thus, is an attractive therapeutic target for combating muscle disease, but the underlying mechanisms of action remain undetermined. We report that follistatin-based interventions (which modulate TGF-β network activity) can promote muscle hypertrophy that ameliorates aging-associated muscle wasting. However, the muscles of old sarcopenic mice demonstrate reduced response to follistatin compared with healthy young-adult musculature. Quantitative proteomic and transcriptomic analyses of young-adult muscles identified a transcription/translation signature elicited by follistatin exposure, which included repression of ankyrin repeat and SOCS box protein 2 (Asb2). Increasing expression of ASB2 reduced muscle mass, thereby demonstrating that Asb2 is a TGF-β network–responsive negative regulator of muscle mass. In contrast to young-adult muscles, sarcopenic muscles do not exhibit reduced ASB2 abundance with follistatin exposure. Moreover, preventing repression of ASB2 in young-adult muscles diminished follistatin-induced muscle hypertrophy. These findings provide insight into the program of transcription and translation events governing follistatin-mediated adaptation of skeletal muscle attributes and identify Asb2 as a regulator of muscle mass implicated in the potential mechanistic dysfunction between follistatin-mediated muscle growth in young and old muscles. Citation Information: JCI Insight. 2016;1(5):e85484. https://doi.org/10.1172/jci.insight.85484. We recently discovered that endothelial Nogo-B, a membrane protein of the ER, regulates vascular function by inhibiting the rate-limiting enzyme, serine palmitoyltransferase (SPT), in de novo sphingolipid biosynthesis. Here, we show that endothelium-derived sphingolipids, particularly sphingosine-1-phosphate (S1P), protect the heart from inflammation, fibrosis, and dysfunction following pressure overload and that Nogo-B regulates this paracrine process. SPT activity is upregulated in banded hearts in vivo as well as in TNF-α–activated endothelium in vitro, and loss of Nogo removes the brake on SPT, increasing local S1P production. Hence, mice lacking Nogo-B, systemically or specifically in the endothelium, are resistant to the onset of pathological cardiac hypertrophy. Furthermore, pharmacological inhibition of SPT with myriocin restores permeability, inflammation, and heart dysfunction in Nogo-A/B–deficient mice to WT levels, whereas SEW2871, an S1P1 receptor agonist, prevents myocardial permeability, inflammation, and dysfunction in WT banded mice. Our study identifies a critical role of endothelial sphingolipid biosynthesis and its regulation by Nogo-B in the development of pathological cardiac hypertrophy and proposes a potential therapeutic target for the attenuation or reversal of this clinical condition. Citation Information: JCI Insight. 2016;1(5):e85923. https://doi.org/10.1172/jci.insight.85923. Arrhythmogenic cardiomyopathy (ACM) is characterized by redistribution of junctional proteins, arrhythmias, and progressive myocardial injury. We previously reported that SB216763 (SB2), annotated as a GSK3β inhibitor, reverses disease phenotypes in a zebrafish model of ACM. Here, we show that SB2 prevents myocyte injury and cardiac dysfunction in vivo in two murine models of ACM at baseline and in response to exercise. SB2-treated mice with desmosome mutations showed improvements in ventricular ectopy and myocardial fibrosis/inflammation as compared with vehicle-treated (Veh-treated) mice. GSK3β inhibition improved left ventricle function and survival in sedentary and exercised Dsg2mut/mut mice compared with Veh-treated Dsg2mut/mut mice and normalized intercalated disc (ID) protein distribution in both mutant mice. GSK3β showed diffuse cytoplasmic localization in control myocytes but ID redistribution in ACM mice. Identical GSK3β redistribution is present in ACM patient myocardium but not in normal hearts or other cardiomyopathies. SB2 reduced total GSK3β protein levels but not phosphorylated Ser 9–GSK3β in ACM mice. Constitutively active GSK3β worsens ACM in mutant mice, while GSK3β shRNA silencing in ACM cardiomyocytes prevents abnormal ID protein distribution. These results highlight a central role for GSKβ in the complex phenotype of ACM and provide further evidence that pharmacologic GSKβ inhibition improves cardiomyopathies due to desmosome mutations. Citation Information: JCI Insight. 2016;1(5):e85935. https://doi.org/10.1172/jci.insight.85935. Immunotherapies targeting the immune checkpoint receptor programmed cell death protein 1 (PD-1) have shown remarkable efficacy in treating cancer. CD4+CD25hiFoxP3+ Tregs are critical regulators of immune responses in autoimmunity and malignancies, but the functional status of human Tregs expressing PD-1 remains unclear. We examined functional and molecular features of PD-1hi Tregs in healthy subjects and patients with glioblastoma multiforme (GBM), combining functional assays, RNA sequencing, and cytometry by time of flight (CyTOF). In both patients with GBM and healthy subjects, circulating PD-1hi Tregs displayed reduced suppression of CD4+ effector T cells, production of IFN-γ, and molecular signatures of exhaustion. Transcriptional profiling of tumor-resident Tregs revealed that several genes coexpressed with PD-1 and associated with IFN-γ production and exhaustion as well as enrichment in exhaustion signatures compared with circulating PD-1hi Tregs. CyTOF analysis of circulating and tumor-infiltrating Tregs from patients with GBM treated with PD-1-blocking antibodies revealed that treatment shifts the profile of circulating Tregs toward a more exhausted phenotype reminiscent of that of tumor-infiltrating Tregs, further increasing IFN-γ production. Thus, high PD-1 expression on human Tregs identifies dysfunctional, exhausted Tregs secreting IFN-γ that exist in healthy individuals and are enriched in tumor infiltrates, possibly losing function as they attempt to modulate the antitumoral immune responses. Citation Information: JCI Insight. 2016;1(5):e86252. https://doi.org/10.1172/jci.insight.86252. Citation Information: JCI Insight. 2016;1(5):e86375. https://doi.org/10.1172/jci.insight.86375. In idiopathic pulmonary fibrosis (IPF), the fibroblast focus is a key histological feature representing active fibroproliferation. On standard 2D pathologic examination, fibroblast foci are considered small, distinct lesions, although they have been proposed to form a highly interconnected reticulum as the leading edge of a “wave” of fibrosis. Here, we characterized fibroblast focus morphology and interrelationships in 3D using an integrated micro-CT and histological methodology. In 3D, fibroblast foci were morphologically complex structures, with large variations in shape and volume (range, 1.3 × 104 to 9.9 × 107 μm3). Within each tissue sample numerous multiform foci were present, ranging from a minimum of 0.9 per mm3 of lung tissue to a maximum of 11.1 per mm3 of lung tissue. Each focus was an independent structure, and no interconnections were observed. Together, our data indicate that in 3D fibroblast foci form a constellation of heterogeneous structures with large variations in shape and volume, suggesting previously unrecognized plasticity. No evidence of interconnectivity was identified, consistent with the concept that foci represent discrete sites of lung injury and repair. Citation Information: JCI Insight. 2016;1(5):e86217. https://doi.org/10.1172/jci.insight.86217. Mst1 is a central Ser-Thr kinase in the Hippo pathway, which promotes apoptosis and inhibits cell proliferation. We have shown previously that, in cardiomyocytes, oxidative stress activates Mst1 at mitochondria, where Mst1 phosphorylates Bcl-xL at Ser14, inducing dissociation of Bcl-xL from Bax and thereby promoting apoptosis. However, the functional significance of Ser14 phosphorylation of endogenous Bcl-xL in vivo remains elusive. We generated knockin (KI) mice in which Ser14 of Bcl-xL is replaced with Ala. KI mice were born at the expected Mendelian ratio, and adult KI mice exhibited normal cardiac morphology and function at baseline. However, KI mice were protected from myocardial ischemia/reperfusion (I/R) injury and exhibited reduced cardiomyocyte apoptosis. Although suppression of endogenous Mst1 also reduced I/R injury, there was no additive protective effect when Mst1 was inhibited in KI mice. The development of dilated cardiomyopathy induced by cardiac-specific overexpression of Mst1 was also ameliorated in KI mice. Lats2 and YAP, two other key components of the Hippo pathway, were not affected in KI mice. These results suggest that Ser14 phosphorylation of Bcl-xL plays an essential role in mediating both cardiomyocyte apoptosis and myocardial injury by acting as a key downstream mediator of Mst1 independently of the canonical Hippo pathway.